The incredible blue skies prevail in our minds when we think of San Francisco. However, in the spring, thick, rainy clouds appear in the skies above San Francisco. In the summer, the famous fog comes in every night, and covers everything. The fog climbing over Twin Peaks in the late afternoon and rolling down to Castro is one of the most beautiful sights of the city. These natural phenomena are one component that characterizes and distinguishes this city from all other cities in the world. 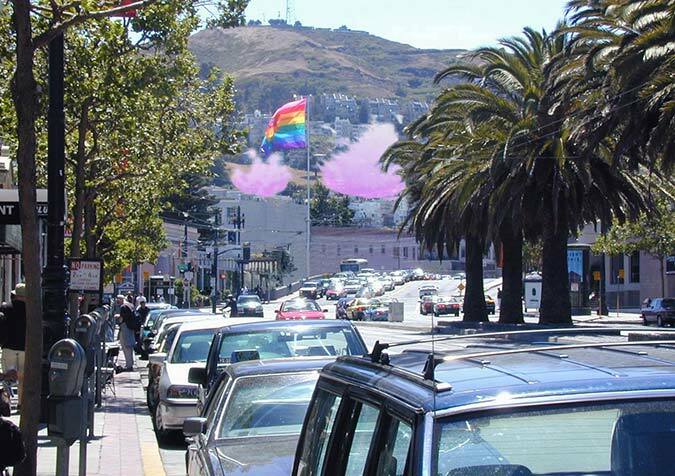 The second component that defines this particular spot in the city is the gay and lesbian neighborhood. 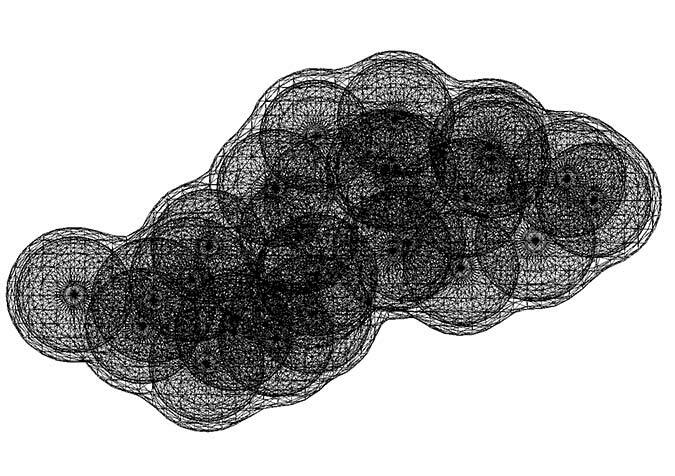 This proposal tries to integrate these two components - the natural phenomena and the spirit of this community - into one design that clearly marks the district in the city. 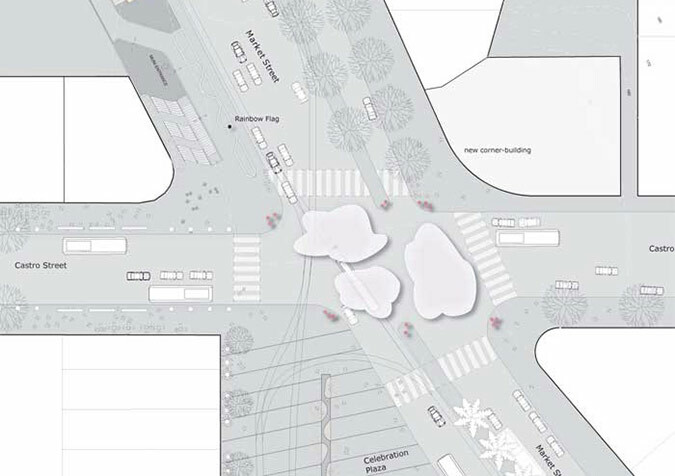 The installation at the intersection plays with natural weather patterns and also creates them. It changes reality. 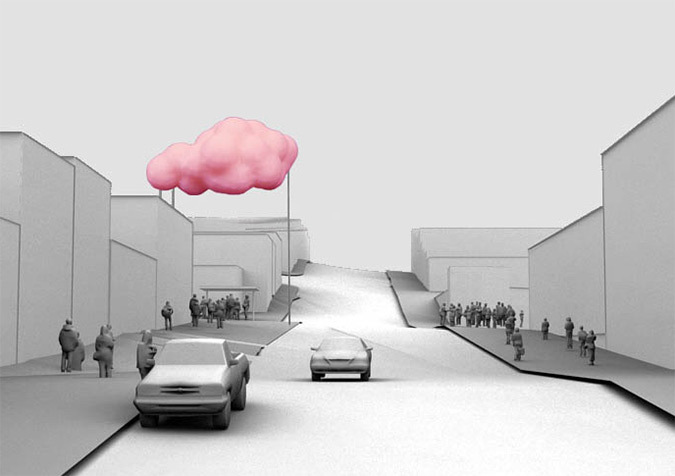 The artificially-generated pink clouds produced by the installation have dreamlike aspects. 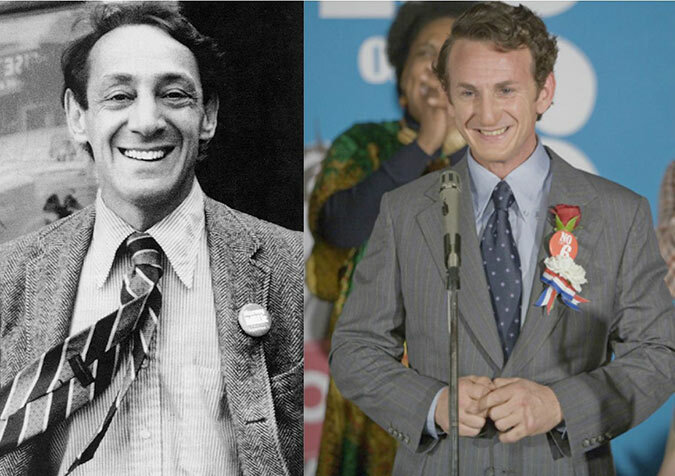 One may see a connection to Harvey Milk and his dreams, but also to the dreams of the whole community. The gay and lesbian movement is driven by an optimism that believes what once seemed unchangeable is changeable. The artificial color of the clouds indicates that reality can be altered, that laws can be changed, and that dreams should be pursued. Where do you find pink clouds on a sunny day in the city? Where in the city is the fog violet, yellow, or green? Where in the city do you find rainbows without rain? 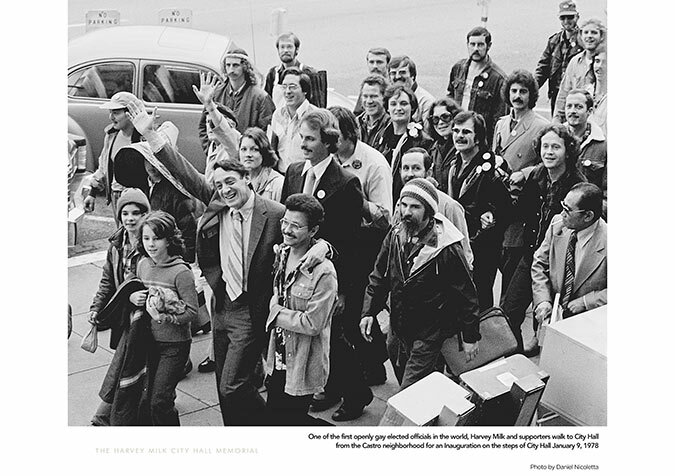 Instead of having a Harvey Milk MONUMENT, we propose a Harvey Milk PAVILION.